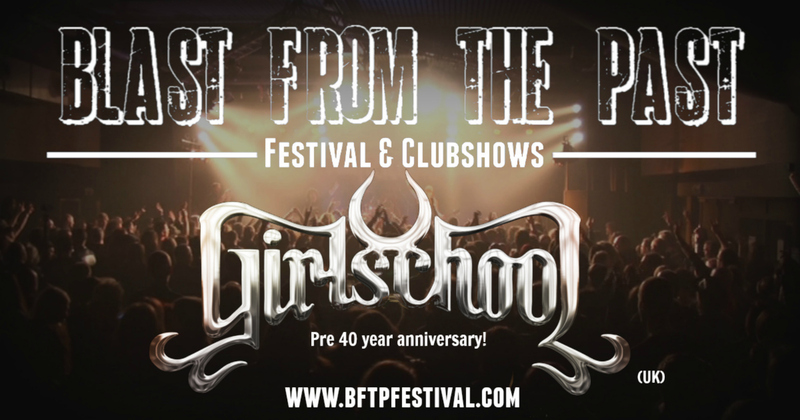 Headliner of the festival: Girlschool ! With this we have announced all bands and this means we have a 100% NWOBHM edition! Girlschool are a British rock band that formed in the new wave of British heavy metal scene in 1978 and frequently associated with contemporaries Motörhead. They are the longest running all-female rock band, still active after more than 35 years.Formed from a school band called Painted Lady, Girlschool enjoyed strong media exposure and commercial success in the UK in the early 1980s with three albums of ‘punk-tinged metal’ and a few singles, but lost their momentum in the following years. Girlschool released their 13th studio album GUILTY AS SIN on the 13th November 2015 produced and recorded by Chris Tsangerides at his Ecology Room studio in Kent and remastered by Tim Hamill at Sonic One Studios in Llangennech, Wales.